I really don’t enjoy having to clean up other peoples messes, and misrepresentations. But in this case, due to a large number of emails, I will address junior “contracts” in a fair and balanced way. “Contracts” are used to detail “agreements”. If anyone has purchased a car recently, you probably signed a whole number of documents, and did so without reading them. Each one of them being a “contract”. 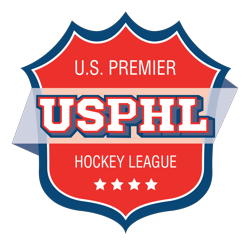 The USPHL “contract” is modeled after USA Hockey’s National Development Team Program and the contract that players sign in order to participate in that program. Most important to note here is that the NTDP has an exit fee as well, so its not a new concept. In fact it was USA Hockey that invented the concept. The NA3HL also has contracts, and they also take people to court if they do not pay. Its a business. So does every other pay to play league. The NAHL does not have player contracts. Many who do not deal with Tier II do not know this. But there is a very important reason they don’t have contracts. It is simply because this way the NAHL is not obligated in any way to do anything other than follow the USA Hockey Tier II guidelines. The average NA3HL contract really isn’t much different than the USPHL contract. Players must pay tuition whether they stay or go based on USA Hockey tuition guidelines. So, it doesn’t have to be written into the NA3HL contract. Since the USPHL is not under USA Hockey its written in the contract, and that’s no different than any other business. All contracts in all pay to play leagues are one sided for the team. Trying to isolate one league over another for this practice is like trying to say Diet Pepsi is better for your health than Coke Zero. The USPHL contract is different than other pay to play contacts in players potentially being moved between levels of teams within an organization. 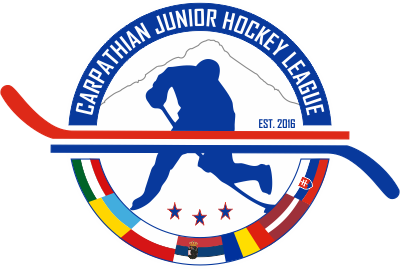 There is nothing to directly compare this to because the USPHL is so large that no other league has this option. But, plenty of players from the NAHL are traded to the NA3HL without knowing they even have a choice. Wouldn’t taking a free to play player and trading him to a pay to play league be an unfair financial hardship? Wouldn’t that be just crazy to imagine that a team would try force someone to pay to play when they weren’t good enough for free to play? Isn’t that just about the same as the demotion clause in the USPHL contract? Apples and oranges I know, but this is not a discussion I started. The bottom line with all of this is, if you are paying for something and there is a contract, read it. If you don’t like it, negotiate the terms. If they wont negotiate, then you have a choice of signing or not signing. Its really pretty simple. When you buy a stick, there is a little warranty on that stick. Its very small print, but its a contract. You agree to it when you pay. When you buy the helmet, or skates there is a warranty, and contract. There is no great mystery here. Regardless of league, whether the USPHL, NA3HL, or in Canada. If you don’t read the contract, or if you read it and don’t like it, but you sign it anyway, don’t cry about it later when you still have to pay.